Durable. Reliable. Keyless Locking. Lower Prices. Interested? KeyGuard Combination Key Storage Cabinets combine durability and reliability with the convenience of keyless security at a competitive price! 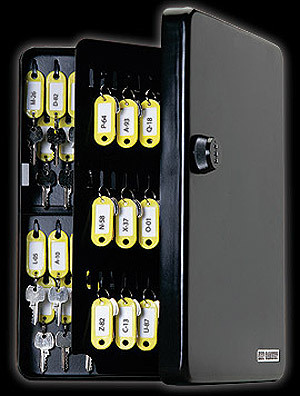 KeyGuard Combination Key Storage Cabinets surpass competitors in durability, reliability and value. Heavy duty steel construction, continuous "piano" hinge and steel key hooks put the KeyGuard key cabinet among the most durable key storage cabinets available. 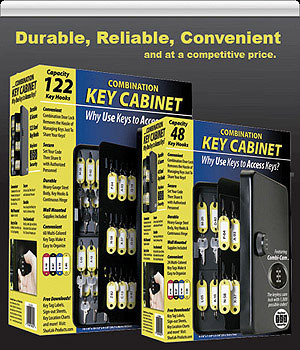 KeyGuard Key Cabinets are backed by a 1 Year Manufacturers Warranty. Mounting hardware and key tags are included. KeyGuard Key Storage Cabinets are easy to install and organize. 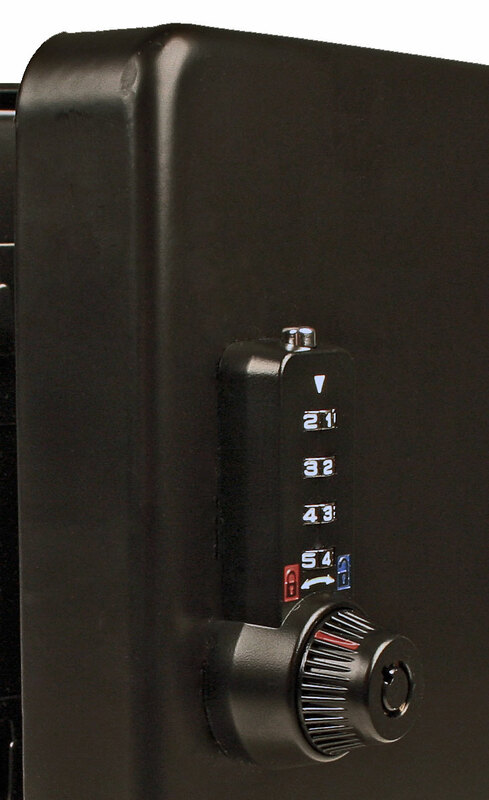 RELIABLE Combination Lock - Why use keys to access keys?! - Secured by the Combi-Cam, the 3-dial keyless cam lock with 1,000 combinations, all metal construction and Convenient reset function. Dialed combination locks are time tested with none of the reliability issues seen with plastic punch button designs. KeyGuard will support your sales with our mapping program. KeyGuard directs wholesale inquiries from your region to you! The packaging grabs attention and contains all the selling points so it practically sells itself. Now thats an attractive package! Where did you hear about KeyGuard Key Cabinets?